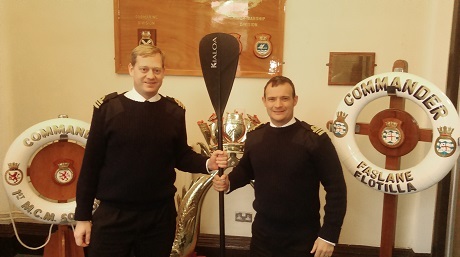 Lieutenant Commander Alex Cross RNR, a former regular member of the armed forces, who joined Frazer-Nash's Glasgow office in 2015 has been helping to promote the Royal Navy's Engineer Reserve (RNR) Branch - by featuring in their latest news release. Alex, a Maritime Reservist from HMS Dalriada in Govan, has been using his engineering expertise at the Home of the UK Submarine Service. With the support of Frazer-Nash, Alex recently joined the Royal Naval Reserves' Engineer Branch and has been working with the Submarine Flotilla (SUBFLOT) at HM Naval Base Clyde. "I served with the Royal Navy for 22 years and after I left I wanted to maintain those links with the navy and with old friends," said Alex. "Many of the engineering skills you learn in the military are transferrable so Frazer-Nash has seen the benefits of my joining the Engineer Reserve Branch." In July 2014, after an absence of 21 years, the Engineer Reserve Branch was reintroduced to the Royal Navy. From sensitive electronics and information systems, to huge gas turbine engines and sophisticated weapons, Royal Navy engineers are responsible for some of the most advanced technology in the world. There are currently 60 Reserve Engineers serving with the branch around the country with more sought. "It has been a pleasure to get back into uniform and provide support to the submarines at HM Naval Base Clyde," said Alex. "It has been interesting to see how much things have changed since I left the Royal Navy. It's nice to see a larger number of attack submarines at Clyde, and to see people I have worked with over the years rise up the ranks. "The last couple of weeks have proven that RNR Engineer Branch officers can integrate seamlessly into the base and provide positive support to the fleet." freed-up some of his regular colleagues to conduct a well-deserved week of Adventurous Training. For more information on the Engineer Reserve Branch, please click here.